Main research interest is the functional interaction between the plant and its microbiome. Native bacterial diversity and selected bacterial strains significantly impact plant nutrition and plant vitality. Functional interactions are analysed by complex omics techniques, from the plant and bacterial point of view, depending on the plant genetic composition and N- and P-fertilisation strategies. Additionally, the risk and pros of diverse bacterial community compositions are my focus of interest in respect of potential human pathogenic bacteria and probiotic acting bacteria. Advisory work is conducted for farmers applying bacterial preparations, and for politics in biodiversity. 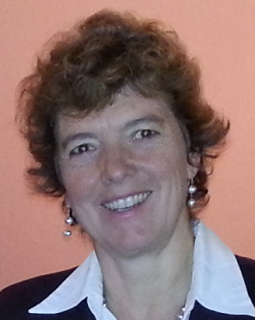 She has been involved in collaboration work and leading scientific projects with more than 12 countries on 4 continents. Her research work is published in more than 50 scientific articles and she supervised 11 PhDs and examined 8 theses in 6 countries. Müller, T.;Ruppel, S.; Behrendt, U.; Lentzsch, P.; Müller, M.E.H 2018. Antagonistic potential of fluorescent pseudomonads colonizing wheat heads against mycotoxin producing alternaria and fusaria. Frontiers in Microbiology 9:2124. Tchuisseu Tchakounté, G.V. ; Berger, B.; Patz, S.; Fankem, H.; Ruppel, S. 2018. Community structure and plant growth-promoting potential of cultivable bacteria isolated from Cameroon soil. Microbiological Research 214, 47-59. Becker, M.; Patz, S.; Becker, Y.; Berger, B.; Drungowski, M.; Bunk, B.; Overmann, J.; Spröer, C.; Reetz, J.; Tchuisseu Tchakounté, G.V. ; Ruppel, S. 2018. Comparative genomics reveal a flagellar system, a type VI secretion system and plant growth-promoting gene clusters unique to the endophytic bacterium Kosakonia radicincitans. Frontiers in Microbiology 9:1997. Tchuisseu Tchakounte G.V. ; Berger, B.; Patz, S.; Fankem, H.; Ruppel, S. 2018. Data on molecular identification, phylogeny and in vitro characterization of bacteria isolated from maize rhizosphere in Cameroon. Data in Brief 19, 1410-1417. Sarhan, M.; Patz, S.; Hamza, M.; Youssef, H.; Mourad, E.; Fayez,M. ; Murphy, B.; Ruppel, S.; Hegazi, N. 2018. G3 PhyloChip analysis confirms the promise of plant-based culture media for unlocking the composition and diversity of the maize root microbiome and for recovering unculturable candidate dicisions / phyla. Microbes and Environments 33, 317-325. Mourad, E.F.; Sarhan, M.S. ; Daanaa, H-S.A.; Abdou, M.; Morsi A.T.; Abdelfadeel, M.R. ; Elsawey, R.; El-Tahan, M.; Hamza, M.A. ; Abbas, M.; Youssef, H.H. ; Abdelhadi, A.A.; Amer W.M. ; Fayez, M.; Ruppel, S.; Hegazi, N. 2018. Plant materials are sustainable substrates supporting new technologies of plant-only-based culture media for in vitro culturing of the plant microbiota. Microbes and Environments 33, 40-49. Ekandjo, L.K. ; Ruppel, S.; Remus, R.; Witzel, K.; Patz, S.; Becker, Y. 2018. Site-directed mutagenesis to deactivate two nitrogenase isozymes of Kosakonia radicincitans DSM16656T. Canadian Journal of Microbiology 64, 97-106. Berger, B.; Patz, S.; Ruppel, S.; Dietel, K.; Faetke, S.; Junge, H.; Becker, M. 2018. Successful formulation and application of plant growth-promoting Kosakonia radicincitans in maize cultivation. BioMed Research International 2018, Article ID 6439481. Die Phyllosphäre – ein mikrobielles Domizil. Ruppel, S.; Müller, T. 2013. Die Phyllosphäre – ein mikrobielles Domizil. BIOspektrum 18 (5), 479-481. Impact of the PGPB Enterobacter radicincitans DSM 16656 on growth, glucosinolate profile and immune responses of Arabidopsis thaliana. Brock, A.K. ; Berger, B.; Mewis, I.; Ruppel, S. 2013. Impact of the PGPB Enterobacter radicincitans DSM 16656 on growth, glucosinolate profile and immune responses of Arabidopsis thaliana. Microbial Ecology 65, 661-670. Nitrogen supply influences plant growth and transcriptional responses induced by Enterobacter radicincitans in Solanum lycopersicum. Berger, B.; Brock, A.-K.; Ruppel S. 2013. Nitrogen supply influences plant growth and transcriptional responses induced by Enterobacter radicincitans in Solanum lycopersicum. Plant and Soil 370 (1-2), 641-652. Organic and inorganic P sources interacting with applied rhizosphere bacteria and their effects on growth and P supply of maize. Krey, T.; Baum, C.; Ruppel, S.; Seydel, M.; Eichler-Löbermann, B. 2013. Organic and inorganic P sources interacting with applied rhizosphere bacteria and their effects on growth and P supply of maize. Communication in Soil Science and Plant Analysis 44, 3205-3215. Single and combined applications of arbuscular mycorrhizal fungi and Enterobacter radicincitans affect nutrient uptake of faba bean and soil biological characteristics. Almethyeb, M.; Ruppel, S.; Paulsen, H.-M.; Vassilev, N.; Eichler-Löbermann, B. 2013. Single and combined applications of arbuscular mycorrhizal fungi and Enterobacter radicincitans affect nutrient uptake of faba bean and soil biological characteristics. Landbauforschung = vTI Agriculture and Forestry Research, 3 (63), 229-234. The crude plant juices of desert plants are proper culture media for cultivation of rhizospheric microorganisms. Eman, H.; Nour, E.H.; Hamza, M.A. ; Fayez, M.; Monib, M.; Ruppel, S.; Hegazi, N.A. 2012. The crude plant juices of desert plants are proper culture media for cultivation of rhizospheric microorganisms. Journal of Advanced Research 3, 35-43. Interactive effects of plant growth-promoting rhizobacteria and manuring on the phosphorus supply of Zea mays L. and Brassica napus L.
Does long-term farmyard manure fertilization affect short-term nitrogen mineralization from farmyard manure? Nett, L.; Averesch, S.; Ruppel, S.; Rühlmann, J.; Feller, C.; George, E.; Fink, M. 2010. Does long-term farmyard manure fertilization affect short-term nitrogen mineralization from farmyard manure? Biology and Fertility of Soils 46 (2), 159-167. NifH-based studies on azotobacterial diversity in cotton soils of India. Composition of the phyllospheric microbial populations on vegetable plants with different glucosinolate and carotenoid compositions. Differences between bacterial associations with two root types of Vicia faba L..
Nitrogen availability decreases prokaryotic diversity in sandy soils. Ruppel, S.; Torsvik, V.; Daae, F.L. ; Øvreås, L.; Rühlmann, J. 2007. Nitrogen availability decreases prokaryotic diversity in sandy soils. Biology and Fertility of Soils 43, 449-459. Wheat x Azotobacter x VA Mycorrhiza interactions towards plant nutrition and growth – a review. Detection and quantification of the nifH gene in shoot and root of cucumber plants. Gross nitrogen transfer rates in field soils measured by 15N-pool dilution. Ruppel, S.; Augustin, J.; Gräfe, J.; Rühlmann, J.; Peschke, H. 2006. Gross nitrogen transfer rates in field soils measured by 15N-pool dilution. Archives of Agronomy and Soil Science 52 (4), 377-388. Ruppel, S.; Augustin, J.; Gräfe, J.; Rühlmann, J.; Peschke, H. 2006. Gross nitrogen transfer rates in field soils measured by 15N-pool dilution. Archives of Agronomy and Soil Science. 52 (4), 377-388. Microbially mediated gross N transfer rates in field soils in relation to physico-chemical transfer processes. Ruppel, S.; Gräfe, J.; Augustin, J.; Rühlmann, J.; Peschke, H. 2006. Microbially mediated gross N transfer rates in field soils in relation to physico-chemical transfer processes. Archives of Agronomy and Soil Science. 52 (4), 389-402..
Quantification and localization of bacteria in plant tissues using quantitative real-time PCR and online emission fingerprinting. Ruppel, S.; Rühlmann, J.; Merbach, W. 2006. Quantification and localization of bacteria in plant tissues using quantitative real-time PCR and online emission fingerprinting. Plant and Soil 286 (1-2), 21-35. Enterobacter radicincitans sp. nov., a plant growth promoting species of the family Enterobacteriaceae. Effects of organic amendments on soil carbon content and microbial biomass – results of the long-term box plot experiment in Grossbeeren. Rühlmann, J.; Ruppel, S. 2005. Effects of organic amendments on soil carbon content and microbial biomass – results of the long-term box plot experiment in Grossbeeren. Archives of Agronomy and Soil Science 51 (2), 163-170. Colonization behaviour of two enterobacterial strains on cereals. Effect of nitrogen fertilization and irrigation on soil microbial activities and population dynamics – a field study. Release of carbon and nitrogen compounds by plant roots and their possible economical importance. Dinitrogen fixation of microbe-plant associations as affected by nitrate and ammonium supply. Phosphorous availability, root exudates, and microbial activity in the rhizosphere. Effect of ammonium and nitrate on specific 15N2-fixation of Azospirillum spp. and Pantoae agglomerans in association with wheat plants. Merbach, W.; Ruppel, S.; Augustin, J. 2011. Mikrobielle Ökologie des Wurzelraumes, 21. Borkheider Seminar zur Ökophysiologie des Wurzelraumes. Mitteilungen Agrarwissenschaften Band. 19, Verlag Dr. Köster, Berlin, 154 S.
Pflanzenwurzeln – Aktivität im Verborgenen. Merbach, W.; Ruppel, S.; Augustin, J. 2011. Pflanzenwurzeln - Aktivität im Verborgenen, 20. Borkheider Seminar zur Ökophysiologie des Wurzelraumes. Mitteilungen Agrarwissenschaften Band 18, Verlag Dr. Köster, Berlin, 126 S.
Steuerungsfaktoren von Rhizosphärenprozessen. 19. Borkheider Seminar zur Ökophysionlogie des Wurzelraumes in der LUFA Speyer am 24. September 2008. Merbach, W.; Ruppel, S.; Augustin, J. (Hrsg.) 2010. Steuerungsfaktoren von Rhizosphärenprozessen. 19. Borkheider Seminar zur Ökophysionlogie des Wurzelraumes in der LUFA Speyer am 24. September 2008. Verlag Grauer-Stuttgart, ISBN: 978-3-86186-556-8. Die Rolle der Mikroflora bei den im System Pflanze-Boden ablaufenden Prozessen: Wirkmechanismen und Bedeutung. Mikrobieller Stickstoffumsatz in der Rhizosphäre. Bakterielle Besiedlung von Rapswurzeln und deren Aktivität bei unterschiedlicher Substratverfügbakeit. Dinitrogen fixation of microbe-plant associations as influenced by combined nitrogen supply. Die räumliche Verteilung der Abgabe von Wurzelabscheidungen von Raps- und Maispflanzen. Gransee, A.; Ruppel, S. (1999) Die räumliche Verteilung der Abgabe von Wurzelabscheidungen von Raps- und Maispflanzen. In: Merbach, W., Wittenmeyer, L. Augustin, J. (Eds.) Stoffumsatz im wurzelnahen Raum. 9. Borkheider Seminar zur Ökophysiologie des Wurzelraumes, Teubner Verlagsgesellschaft Stuttgart, Leipzig, 105-109. Einfluß bakterieller Mikroorganismen auf die Wurzelmorphologie der Tomate unter Pathogeneinwirkung. Einfluß der P-Ernährung und der Applikation P-lösender Bakterien auf die funktionelle Diversität der Rhizosphärenmikroflora von Mais. Role of diazotrophic bacteria in plant nutrition. Gegen ammonifizierende Mikroorganismen des Bodens gerichtete Antikörper und ihre Verwendung. Gegen Urease des Bodens gerichtete Antikörper und ihre Verwendung. Methode zur direkten N-Bestimmung in der mikrobiellen Biomasse des Bodens. Ruppel,S. ; Augustin, J. 1998 Methode zur direkten N-Bestimmung in der mikrobiellen Biomasse des Bodens. In: Merbach, W. (Ed.) Pflanzenernährung, Wurzelleistung und Exsudation. 8. Borkheider Seminar zur Ökophysiologie des Wurzelraumes. Teubner Verlagsgesellschaft, Stuttgart, Leipzig, 21-28. Untersuchungen zur Besiedlung von Gramineen durch Enterobacterien. Ruppel, S.; Beutin, L; Scherwinski, A.-C.; Fayez, M.; Hegazi, N.A. 2017. Kulturpflanzen als Reservoir von humanpathogenen Mikroorganismen. Natürliches Vorkommen von potentiell humanpathogenen E. coli an Bockshornklee und Kräutern. Journal für Kulturpflanzen 69, 181. Proteomic approaches to understand plant growth promotion caused by the endophyte Enterobacter radicincitans sp. nov. DSM 16656. Witzel, K.; Ruppel, S. 2013. Proteomic approaches to understand plant growth promotion caused by the endophyte Enterobacter radicincitans sp. nov. DSM 16656. European Proteomics Association 2013 Scientific Meeting, 14.-17.10.2013, St. Malo, France, Abstractbook, S. 131-132. Beneficial impact of endophytic Enterobacter radicincitans on tomato. Berger, B.; Brock, A.; Ruppel, S. 2013. Beneficial impact of endophytic Enterobacter radicincitans on tomato. BioMicroWorld, Madrid: 02.10.-04.10.2013, Abstract-Book, S. 7. Genomic and molecular background of plant growth promotion in the endophyte Enterobacter radicincitans sp. nov. DSM 16656. Witzel, K.; Ruppel, S. 2013. Genomic and molecular background of plant growth promotion in the endophyte Enterobacter radicincitans sp. nov. DSM 16656. In: Carolin Schneider, Carlo Leifert, and Falko Feldmann (eds. 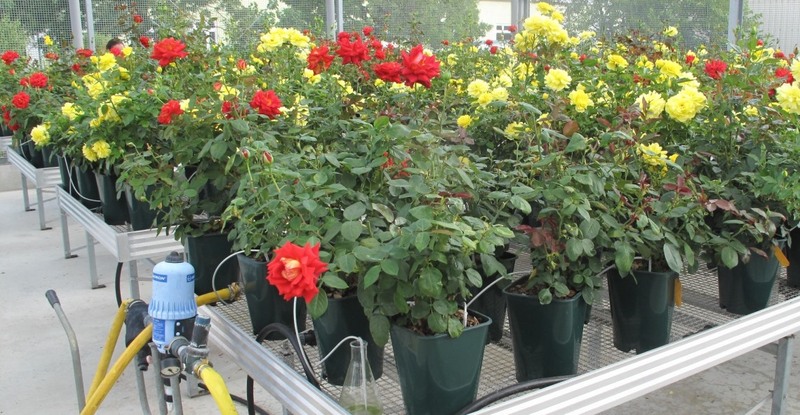 ), Endophytes for plant protection: the state of the art. DLG-Verlag, Berlin, 159. Mutualistische Interaktion zwischen Bakterien und Pflanzen. Brock, A.; Berger, B.; Witzel, K.; Ruppel, S. 2013. Mutualistische Interaktion zwischen Bakterien und Pflanzen. Jahresbericht 2011/2012 des Leibniz-Institutes für Gemüse- und Zierpflanzenbau Großbeeren/Erfurt, S. 50-51. PGPB Enterobacter radicincitans protects Arabidopsis plants during herbivore attack. Brock, A.; Mewis, I.; Ruppel, S. 2013. PGPB Enterobacter radicincitans protects Arabidopsis plants during herbivore attack. 32 New Phytologist Symposium- Plant interactions with other organisms: molecules, ecology and evolution, Buenos Aires, Argentinien, 20.11.-22.11.2013. Abstract Book, S. 36. Witzel, K.; Schreiner, M.; Ruppel, S.; Grosch, R. 2012. Genetic variability of the Verticillium syndrome in an Arabidopsis mapping population. 28th New Phytologist Symposium: Functions and Ecology of the Plant Microbiome, 18.05.-21.05.2012, Rhodes, Greece, Abstractbook, S. 76. Modulation of Arabidopsis thaliana glucosinolate profile, immune responses and nitrogen uptake efficiency by the PGPB Enterobacter radicincitans DSM16656. Brock, A.K. ; Berger, B.; Mewis, I.; Ruppel, S. 2012. Modulation of Arabidopsis thaliana glucosinolate profile, immune responses and nitrogen uptake efficiency by the PGPB Enterobacter radicincitans DSM16656. Workshop Molecular Interactions -From molecules to product innovation, Berlin, Deutschland, 12.09.2012-14.09.2012, Abstractband, 50. Witzel, K.; Brock, A.; Berger, B.; Ruppel, S. 2012. Enterobacter radicincitans sp.nov. DSM 16656: a novel and efficient PGPB strain. 10th European Nitrogen Fixation Conference, Munich, Germany, 02.09.-05.09.2012, Abstractband. Bacterial diversity in the phyllosphere of vegetable plants. Ruppel, S.; Scherwinski, A.-C.. 2012. Bacterial diversity in the phyllosphere of vegetable plants. 28th New Phytologist Symposium, Functions and ecology of the plant microbiome, 18.05.-21.05.2012, Rhodes , Greece, p.68. Localisation and quantification of the PGPB Enterobacter radicincitans sp. nov. DSM 16656 in crop and model plants. Witzel, K.; Berger, B.; Ruppel, S. 2012. Localisation and quantification of the PGPB Enterobacter radicincitans sp. nov. DSM 16656 in crop and model plants. COST Meeting Endophytes 14.11.-16.11.2012., Trento San Michele, Italy, Book of abstracts, 59. Microbial plant interactions in saline habitats. Ruppel, S.; Franken, P.; Witzel, K. 2012. Microbial plant interactions in saline habitats. 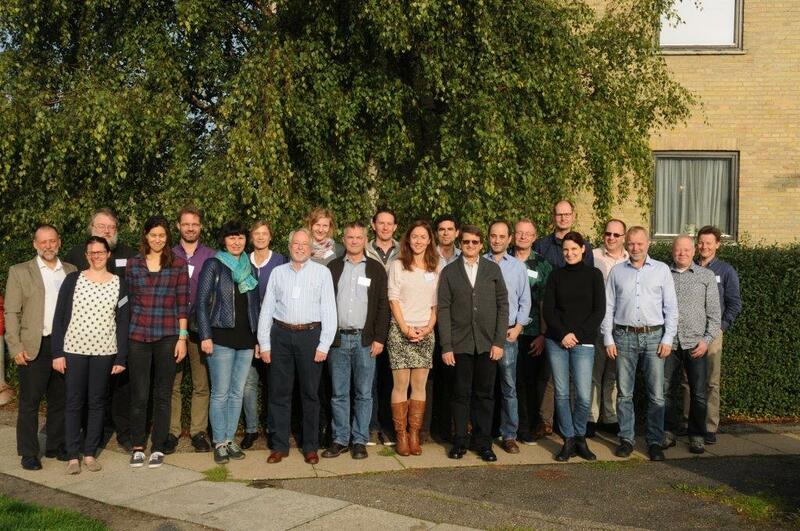 COST WG2 Meeting: Putting Halophytes to Work – Genetics, Biochemistrys, Physiology 29.-30.08.2012, Hannover. Lectures and Posters, Abstract 14. Rückgewinnung und Nutzbarmachung von Phosphor aus Klärschlämmen. Brock, A. K.; Ruppel, S. 2012. Rückgewinnung und Nutzbarmachung von Phosphor aus Klärschlämmen. VDLUFA-Schriftenreihe 67, 236-240. The effect of nitrogen supply on plant growth-promoting capacity of Enterobacter radicincitans. Berger, B.; Brock, A.K. ; Ruppel, S. 2012. The effect of nitrogen supply on plant growth-promoting capacity of Enterobacter radicincitans. 9th International and 1st Latinamerican PGPR Workshop 03.-08. June 2012, Quirama, Colombia. p. 24-25. Beneficial inter-player – Impact of endophytic Enterobacter radicincitans on tomato plants. Berger, B., Brock A., Ruppel S., 2011. Beneficial inter-player – Impact of endophytic Enterobacter radicincitans on tomato plants. Botanikertagung 2011, Berlin, Deutschland, 19.09.-22.09.2011, Abstract, 175. Gesundes Gemüse – Was steckt dahinter? Ruppel, S.; Krumbein, A.; Schreiner, M. 2011. Gesundes Gemüse - Was steckt dahinter? Aktuelles über den Senat Bundesforschung. Internationale Forschungskooperation zur Verbesserung von Ernteerträgen und Einkommen in Entwicklungsländern. Brückner, B.; Khan, M.; Mewis, I.; Ngwene, B.; Neumann-Gabriel, E.; Ruppel, S. 2011. Internationale Forschungskooperation zur Verbesserung von Ernteerträgen und Einkommen in Entwicklungsländern. Jahresbericht 2009/2010 des Leibniz-Institutes für Gemüse- und Zierpflanzenbau Großbeeren/Erfurt, 52-55. Lokalisierung und Quantifizierung von Bakterien im Wurzelgewebe von Kohlrabi. Ruppel, S. 2011. Lokalisierung und Quantifizierung von Bakterien im Wurzelgewebe von Kohlrabi. In: W. Merbach; S. Ruppel; J. Augustin (eds. ), Pflanzenwurzeln - Aktivität im Verborgenen, 20. Borkheider Seminar zur Ökophysiologie des Wurzelraumes. Mitteilungen Agrarwissenschaften 18, 89-94. Mögliche Beziehungen zwischen der P-Erschließung in der Rhizosphäre und der Pflanzenverfügbarkeit des Phosphats im Boden. Merbach, W.; Deubel, A.; Ruppel, S. 2011. Mögliche Beziehungen zwischen der P-Erschließung in der Rhizosphäre und der Pflanzenverfügbarkeit des Phosphats im Boden. In: 1. Tagung der Östereichischen Gesellschaft für Wurzelforschung: Pflanzenwurzel im System Boden-Pflanze-Athmosphäre = Plant roots in the Soil-Plant-Atmosphere system. Lehr- und Forschungszentrum für Landwirtschaft, Raumberg-Gumpenstein, Östereichischen Gesellschaft für Wurzelforschung, 9-18. ISBN: 978-3-902559-63-0, ISSN: 1818-7722. Brock, A.; Ruppel, S. 2011. Natürlich recycelt. Umweltmagazin 10/11, 42-43. Brock, A.K. ; Ruppel, S. 2011. Rückgewinnung und Nutzbarmachung von Phosphor aus Klärschlämmen. Vorträge zum Generalthema Spezialisierte Landwirtschaft – Risiko oder Chance? 123. VDLUFA-Kongress, Speyer, Deutschland, 13.09.-16.09.2011, VDLUFA-Schriftenreihe Band 67, 236-240. Wie viel Vielfalt braucht ein gesunder Boden? Ruppel, S.; George, E.; Grosch,R. ; Fischer,K. 2011. Wie viel Vielfalt braucht ein gesunder Boden? Aktuelles über den Senat Bundesforschung. Zusammenhang zwischen Stickstoffverfügbarkeit und mikrobieller Aktivität in der Rhizosphäre. Ruppel, S.; Rühlmann, J.; Merbach, W. 2011. Zusammenhang zwischen Stickstoffverfügbarkeit und mikrobieller Aktivität in der Rhizosphäre. In: W. Merbach; S. Ruppel; J. Augustin (eds. ), Mikrobielle Ökologie des Wurzelraumes, 21. Borkheider Seminar zur Ökophysiologie des Wurzelraumes. Mitteilungen Agrarwissenschaften 19, 108-115. Contribution of microorganisms to plant phosphorus nutrition. Eichler-Löbermann, B.; Baum, C.; Ruppel, S.; Schnug, E. 2010. Contribution of microorganisms to plant phosphorus nutrition. In: Encyclopedia of Soil Science, S. 1-4. Einfluss von Rhizosphärenbakterien der Afrikanischen Ölpalme (Elaeis guineensis) auf die in-vitro-Mobilisierung von Kalzium, Eisen und Aluminium. Merbach, W.; Fankem, H.; Deubel, A.; Ruppel, S. 2010. Einfluss von Rhizosphärenbakterien der Afrikanischen Ölpalme (Elaeis guineensis) auf die in-vitro-Mobilisierung von Kalzium, Eisen und Aluminium. In: W. Merbach, S. Ruppel, J. Augustin (eds.) Steuerungsfaktoren von Rhizosphärenprozessen. 19. Borkheider Seminar zur Ökophysiologie des Wurzelraumes. Verlag Grauer-Stuttgart, S. 33-44. Ruppel, S.; Krumbein, A.; Schreiner, M. 2010. Gesundes Gemüse – was steckt dahinter? ForschungsReport 1, 31-33. Host genotype – Azotobacter chroococcum – arbuscular mycorrhizal fungi interactions in relation to nutrient use efficiency in wheat. Behl, R.K.; Narula, N.;Ruppel, S.; Kothe, E. 2010. Host genotype – Azotobacter chroococcum – arbuscular mycorrhizal fungi interactions in relation to nutrient use efficiency in wheat. In: Behl, R.K.; Merbach, W.;Meliczek, H.; Kaetsch, C. (eds.) Crop science and land use for food and bioenergy. Agrobios (International)Jodhpur, pp 189-201. Influence of rhizosphere bacteria of african oil palm (Elaeis guineensis) on calcium, iron and aluminum phosphate in-vitro mobilization. Merbach, W.; Fankem, H.; Deubel, A.; Ruppel, S.; Narula, N. 2010. Influence of rhizosphere bacteria of african oil palm (Elaeis guineensis) on calcium, iron and aluminum phosphate in-vitro mobilization. In: Behl, R.K.; Merbach, W.;Meliczek, H.; Kaetsch, C. (eds.) Crop science and land use for food and bioenergy. Agrobios (International) Jodhpur, pp 179-188. Inoculation of plant growth promoting rhizobacteria as influenced by organic fertilization: effects on plant and soil characteristics. Krey, T.; Caus, M.; Baum, C.; Ruppel, S.; Eichler-Löbermann, B. 2010. Inoculation of plant growth promoting rhizobacteria as influenced by organic fertilization: effects on plant and soil characteristics. In: More systainability in agriculture: New fertilizers and fertilization management Rome, Italy, Proceedings of the 18th CIEC Symposium of the International Scientific Centre of Fertilizers, November 8.-12. 2009, Abstract. P solubilization in the rhizosphere and its possible importance to determine phosphate plant availibility in soil. A review with main emphasis on German results. Merbach, W.; Deubel, A.; Gransee, A.; Ruppel, S.; Klamroth 2009. P solubilization in the rhizosphere and its possible importance to determine phosphate plant availibility in soil. A review with main emphasis on German results. Archives of Agronomy and Soil Science 56 (2) 119-138. Zur Umsetzung von Stallmist im Boden. Nett, L.; Averesch, S.; Ruppel, S.; Rühlmann, J.; Feller, C.; George, E.; Fink, M. 2010. Zur Umsetzung von Stallmist im Boden. Gemüse 46 (3), 22-23. Effect of nitrogen and rhizobium inoculation on yield and biological N2 fixation of blue lupins (Lupinus angustifolius L.). Effects of plant growth promoting rhizobacteria on mycorrhiza formation of Zea mays and Phacelia tanacetifolia. Baum, C.; Eichler-Löbermann, B.; Krey, T.; Hrynkiewicz, K.; Ruppel, S. 2008. Effects of plant growth promoting rhizobacteria on mycorrhiza formation of Zea mays and Phacelia tanacetifolia. Proceedings of the Plant Microbial Interactions 2.-6. Juli 2008, Krakow Poland, S. 55. Ruppel, S. 2008. Herbs: acting as probiotics? Proceedings of the 12th International Symposium on Microbial Ecology, Microbial Diversity – Sustaining the Blue Planet. 17.-22.2008, Cairns, Australia, S. 494. Maximal growth of soil microbial biomass – an indicator of nutrient availability. Syakur; George, E.; Ruppel, S. 2008. Maximal growth of soil microbial biomass – an indicator of nutrient availability. In: Karmil, T.F., Bidin, A., Wenzel, W., Müller, T., George, E., Joshi, L.(eds.) “Land Use after the Tsunami – Supporting Education, Research and Development in the Aceh Region”, International Symposium,Banda Aceh, Indonesia, November 4-6, 2008, S. 92. Soil microbial biomass in a long-term field experiment – The correlation to soil chemical properties and crop yield. Syakur; George; E.;Ellmer, F.; Baumecker, M.; Ruppel, S. 2008. Soil microbial biomass in a long-term field experiment – The correlation to soil chemical properties and crop yield. In: Karmil, T.F., Bidin, A., Wenzel, W., Müller, T., George, E., Joshi, L.(eds.) “Land Use after the Tsunami – Supporting Education, Research and Development in the Aceh Region”, International Symposium,Banda Aceh, Indonesia, November 4-6, 2008, S. 93. Ruppel, S. 2007. Besseres Wachstum durch Biopräparate. DE GA 61 (17), 40-41. Application of plant growth promoting bacteria nterobacter radicincitan to improve germination and seedling development. Ruppel, S. 2007. Application of plant growth promoting bacteria nterobacter radicincitan to improve germination and seedling development. VI International Symposium on new floricultural crops. Abstract p. 95. Beitrag der Bakterien zur Pflanzenernährung. Ruppel, S. 2007. Beitrag der Bakterien zur Pflanzenernährung. Abstract, BHGL-Schriftenreihe 25, 30. Eichler-Löbermann, B.; Baum, C.; Ruppel, S.; Schnug, E. 2007. Contribution of microorganisms to plant phosphorus nutrition. In: Encyclopedia of Soil Science, in press. Influence of Bacillus subtilis FZB 24, Lactofol and K-Humate on microbial activity of horticultural substrates. Böhme, M.; Schevchenko, J.; Ruppel, S. 2007. Influence of Bacillus subtilis FZB 24, Lactofol and K-Humate on microbial activity of horticultural substrates. Abstract, BHGL-Schriftenreihe 25, 109. Associative diazotrophic bacteria and their plant growth promoting effects. Ruppel, S. 2006. Associative diazotrophic bacteria and their plant growth promoting effects. In: Laziza Gafurova et al. (eds.). Soil health: biology, ecology and management, Patent-Press, Tashkent, Uzbekistan, 23-37. Beitrag der Mikroflora zur Pflanzenernährung. Ruppel, S. 2006. Beitrag der Mikroflora zur Pflanzenernährung. Schriftenreihe des Bundesverbandes Deutscher Gartenfreunde (BDG); 184, 31-35. Effects of salinity on rhizosphere bacterial communities associated with different root types of Vicia faba L.
Erhöhung des Glucosinolatgehaltes bei Brassica rapa nach Applikation auxinproduzierender Bakterien (Enterobacter radicincitans). Kordus, H.; Ruppel, S.; Krumbein, A.; Schonhof, S.; Huyskens.Keil; S.; Schreiner, M. 2006. Erhöhung des Glucosinolatgehaltes bei Brassica rapa nach Applikation auxinproduzierender Bakterien (Enterobacter radicincitans). Abstract, BHGL-Schriftenreihe 24, 196. Getümmel im Verborgenen : Das unterirdische Zusammenleben von Mikroorganismen und Pflanzenwurzeln. Neumann, E.; Ruppel, S. 2006. Getümmel im Verborgenen : Das unterirdische Zusammenleben von Mikroorganismen und Pflanzenwurzeln. Forschungsreport, Sonderheft 42-43. Glucosinolate production in turnip under the treatment with microorganisms and elicitors. Smetanska, I.; Schreiner, M.; Sauder, S.; Krumbein, A.; Ruppel, S.; Knorr, D. 2006. Glucosinolate production in turnip under the treatment with microorganisms and elicitors. Abstract, European Society for New Methods in Agrigultural Research (ESNA), XXXVI Annual Meeting. Romanian, Iasi, 73. Ruppel, S. 2006. Potential microbial N transfer. In: J.J. Schröder & J.J. Netson (eds.) N management in agroecosystems in relation to the Water Framework Directive. Proccedings ot the 14th N Workshop, October 2005, Maastrich, the Netherlands, Plant Research International, Report 116, 406-408. Signalwirkung der Glucosinolat- und Carotinoidzusammensetzung auf die natürliche bakterielle Besiedlung verscheidener Gemüsearten. Janczik, H.; Schreiner, M.; Krumbein, A.; Schonhof, I.; Huyskens-Keil, S.; Ruppel, S. 2006. Signalwirkung der Glucosinolat- und Carotinoidzusammensetzung auf die natürliche bakterielle Besiedlung verscheidener Gemüsearten. Abstract, BHGL-Schriftenreihe 24, 195. Diazotrophic bacteria improved nitrogen nutrition of vegetable plants: an investigation using molecular biological methods. Juraeva, D.; Ruppel, S. 2005. Diazotrophic bacteria improved nitrogen nutrition of vegetable plants: an investigation using molecular biological methods. In: Merbach, W., Beschow, H., Augustin, J. (Eds. ), Wurzelfunktionen und Umweltfaktoren, 15. Borkheider Seminar zur Ökophysiologie des Wurzelraumes. Verlag Graur, Beuren, Stuttgart, S. 113-118. Differences between bacterial associations of two root types of Vicia fabaL. Ofek, M.; Ruppel, S.; Waisel, Y. 2005. Differences between bacterial associations of two root types of Vicia fabaL. Abstract, Workshop: Functional and genetic characterization of microbial communities. Sole-carbon-source tests. Workshop, Lisbon University, Factulty of Sciences, Lisbon, Portugal, 13. Differences between rhizosphere bacterial communities associated with different root types of Vicia FabaL. Ofek, M.; Ruppel, S.; Weisel, Y. 2005. Differences between rhizosphere bacterial communities associated with different root types of Vicia FabaL. Abstract, In: Hartmann, A., Schmidt, M, Wenzel, W., Hinsinger, Ph. (Eds.) Rhizosphere 2004 - Perspectives and Challenges - A Tribute to Lorenz Hiltner, GSF-Bericht 5, 89. Förderung der Mikroflora des Bodens durch den gezielten Einsatz von Komposten. Ruppel, S.; Schmidt, R. 2005. Förderung der Mikroflora des Bodens durch den gezielten Einsatz von Komposten. In: Humuswirtschaft im Obstbau – Mikroflora, Baumgesundheit und Kompostqualitäten -, Dokumentation der Veranstaltung des Öko-Obstbau Norddeutschland Versuchs- und Beratungsring e.V., OVB Jork, 4-30. Microbial communities and their impact on nutrient transfer within the rhizosphere. Ruppel, S.; Merbach, W. 2005. Microbial communities and their impact on nutrient transfer within the rhizosphere. Abstract, In: Hartmann, A., Schmidt, M, Wenzel, W., Hinsinger, Ph. (Eds.) Rhizosphere 2004 - Perspectives and Challenges - A Tribute to Lorenz Hiltner, GSF-Bericht 5, 190. Specificity of several bacterial groups for certain carbon sources. Ruppel, S. 2005. Specificity of several bacterial groups for certain carbon sources. Abstract, Workshop: Functional and genetic characterization of microbial communities. Sole-carbon-source tests. Workshop, Lisbon University, Factulty of Sciences, Lisbon, Portugal, 15. Unconventional Potentiality for Sustainable Vegetable Production. Ruppel, S. 2005. Unconventional Potentiality for Sustainable Vegetable Production. Institut für Gemüse- und Zierpflanzenbau Großbeeren und Erfurt: Research Report 2003 / 2004, 6-7. Differences between rhizosphere bacterial communities associated with different root types of Vicia Faba L.
Ofek, M.; Ruppel, S.; Weisel, Y. 2004. Differences between rhizosphere bacterial communities associated with different root types of Vicia Faba L. Abstract, Proceedings International Congress Rhizosphere 2004: Perspectives and Challenges, Research Center for Environment and Health, Munich, Germany, 65. Microbial communities and their impact on nutrient transfer within the rhizosphere . Ruppel, S.; Merbach, W. 2004. Microbial communities and their impact on nutrient transfer within the rhizosphere . Abstract, Abstract, Proceedings International Congress Rhizosphere 2004: Perspectives and Challenges, Research Center for Environment and Health, Munich, Germany, 107. Huyskens-Keil, S.; Kadau, R.; Gossmann, M.; Büttner, C.; Schreiner, M.; Schmidt, St.; Schonhof, I.; Peters, P.; Ruppel, S.; Schrödter, R. 2004. Qualitätssicherung von Convenience-Spargel. Abstract, BDGL-Schriftenreihe 22, 30. Quantifizierung und Monitoring von Pantoea agglomerans an Kohlrabi Wurzeln und Blättern mittels Real-time PCR. Ruppel, S.; Wernitz, B. 2004. Quantifizierung und Monitoring von Pantoea agglomerans an Kohlrabi Wurzeln und Blättern mittels Real-time PCR. In: (W. Merbach, K. Egle, J. Augustin, eds.) Wurzelinduzierte Bodenvorgänge. 14. Borkheider Seminar zur Ökophysiologie des Wurzelraumes. B. G. Teubner - Stuttgart, Leipzig, Wiesbaden, 56-61. Bio-Seismologie: Diversität der Bodenmikroflora – eine Möglichkeit der Umweltindikation. Ruppel, S.; Grosch, R. 2003. Bio-Seismologie: Diversität der Bodenmikroflora - eine Möglichkeit der Umweltindikation. In: Der verschwundene Hering und das Geheimnis des Regenmachers: Umweltforschung in der Leibniz-Gemeinschaft - Qualität und Vielfalt, Bonn 2003, 71-72. Bedeutung der rhizosphären- und endophytischen Bakterien für die Pflanzenernährung. Ein Enzymimmunoaasay zur Quantifizierung bakterieller Urease in schwermetallkontaminierten Böden. Nitrogen cycle and microorganisms in a hydroponic system as influenced by the amount of nitrogen applied. Freisetzung von C- und N-Verbindungen durch Pflanzenwurzeln und ihre mögliche ökologische Bedeutung. Nachhaltige Bodennutzung gemessen an den Erträgen und der Humusdynamik bei langjährigem Gemüsebau. Abdelfadeel, M. R.; Sarhan, M.S. ; Hamza, M. A.; Youssef, H. H.; Fayez, M.; Ruppel, S.; Hegazi, N. A. 2018. Clay beads as low-tech and low-cost method for long-term microbial preservation. The Plant Microbiome. Book of abstracts, 21. Tchuisseu Tchakounté, GV. ; Berger, B.; Patz, S.; Fankem, H.; Ruppel, S. 2018. Community structure and plant growth-promoting potential of cultivable bacteria isolated from Cameroon soil. The Plant Microbiome, Book of Abstracts, 45. Hegazi, N.H.; Sarhan, M. S.; Youssef, H. H.; Hamza, M. A.; Fayez, M.; Ruppel, S. 2018. Culturing the plant microbiome: The eara of artificial media is about to end and the age of plant -only- based culture media had dawned. The Plant Microbiome, Book of Abstracts, 15. Mourad, E. F.; Sarhan, M. S.; Nemr, R.; Elsawy, H.; Youssef, H. H.; Hamza, M. A.; Fayez, M.; Ruppel, S.; Hegazi, N. A. 2018. Culturing with nutrient-free culture media: Echoing the plant inoculum effect into plant-only-based culture media. The Plant Microbiome, 24. Sharma, S.; Compant, S.; Ballhausen, M.-B. ; Ruppel, S.; Franken, P. 2018. Deciphering the interaction between Rhizoglomus irregulare, hyphae attached phosphate-solubilizing bacteria and their impact on Solanum lycopersicum. VAAM Jahrestagung, 15.-18. April 2018, Wolfsburg. Book of Abstracts, 148. Sharma, S.; Compant, S.; Ballhausen, M.-B. ; Ruppel, S.; Franken, P. 2018. Effect of coinoculation of Rhizoglomus irregulare, and hyphae attached phosphate solubilizing bacteria on Solanum lycopersicum. The Plant Microbiome, Book of Abstracts, 29. Patz, S.; Bağci, C.; Becker, M.; Berger, B.; Ruppel, S.; Huson, D. H. 2018. In silico prediction of the potential and the risk of microbial inoculants for suatainable crop production. International Symposium: The Plant Microbiome, Book of Abstracts, 11. Becker, M.; Patz, S.; Becker, Y.; Berger, B.; Ruppel, S. 2018. 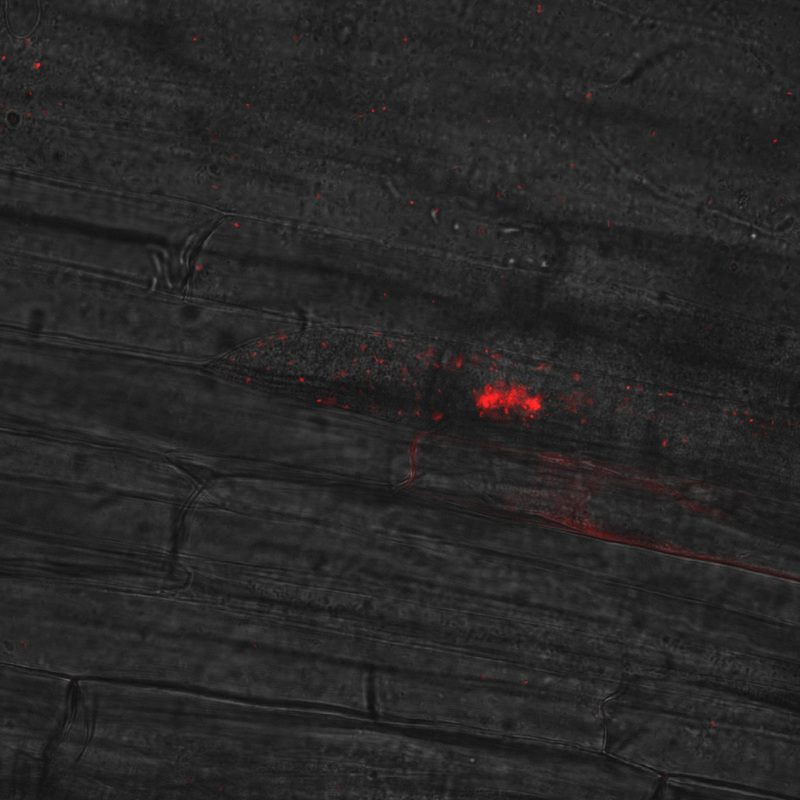 Kosakonia radicincitans DSM 16656T has a significant impact on the tomato microbiome. The Plant Microbiome. Book of Abstracts, 28. Hamza, M.A. ; Youssef, H. H.; Othman, A. A.; Eltahamy, A. A.; Elrehim, A. A.; Al-Afify, A. D. G.; Sarhan, M. S.; Patz, S.; El-Zanfaly, H. T.; Fayez, M.; Ruppel, S.; Hegazi, N. A. 2018. Monitoring the microbial quality and of field-grown fenugreek (Trigonella foenum graecum L.) including pathogenic E. coli under Egyptian farming conditions. The Plant Microbiome, Book of Abstracts, 44. Cruz-Barrera, M.; Jakobs-Schoenwandt, D.; Becker, M.; Patel, A.; Serrato, J.; Gomez, M.; Ruppel, S. 2018. Osoadaptation and hydroxyectoine accumulation enhance endophytism of encapsulated Kosakonia radicincitans in radish plants. The Plant Microbiome, Book of Abstracts, 58. Daanaa, H-S. A.; Abdou, M.; Hamza, M. A.; Sarhan, M. S.; Morsi, A. T.; Youssef, H. H.; Goda, H. A.; Abbas, M. T.; El-Tahan, M.; Fayez, M.; Ruppel, S.; Hegazi, N. A. 2018. Plant pellets: A novel trategy for quick preparation of plant-only-based culture media for cultivation and value-added biomass production of rhizobacteria. The Plant Microbiome, Book of Abstracts, 20. El_Sawey, H.; Namer, R. A.; Sarhan, M. S.; Hamza, M. A.; Youssef, H. H.; El-Tahan, M.; Fayez, M.; Ruppel, S.; Hegazi, N. A. 2018. Plant syrups are appropriate substrates to prepare plant-only-based culture media to improve cultivability of endophytic plant microbiome. The Plant Microbiome, Book of Abstracts, 19. Ruppel, S.; Patz, S.; Becker, M.; Berger, B.; Scherwinski, A.-C.; Hegazi, N. 2018. The phyllosphere of Lepidium sativum – a habitat of human probiotic bacteria. 2nd Plant Microbiome Symposium. 19.-21. Februar, Amsterdam, Proceedings. The phyllosphere of Lepidium sativum- a habitat of human probiotic of pathogenic bacteria? Ruppel, S.; Patz, S.; Becker, M.; Berger, B.; Scherwinski, A.-C.; Hegazi, N. 2018. The phyllosphere of Lepidium sativum- a habitat of human probiotic of pathogenic bacteria? 3rd International Workshop on Interactions between crop plants and human pathogens. 12.-14.03.2018 Berlin, Book of Abstracts. Becker, M.; Becker, Y.; Ruppel, S.; Patz, S. 2018. To be or not to be a pathogen: Differentiate true virulence factors of bacteria from false positives. 3rd International Workshop on Interactions between crop plants and human pathogens. 12.-14.03.2018, Berlin, Book of Abstracts, 7. Patz, S.; Becker, M.; Ruppel, S.; Huson, D.H. 2018. Tracing the dynamics of functional gene clusters. PhD day at Tübingen University, Algorithms in Bioinformatics, Book of Abstracts. Tchuisseu Tchakounté, GV. ; Berger, B.; Patz, S.; Fankem ,H.; Ruppel, S. 2017. Community structure and plant growth-promoting potential of cultivable bacteria isolated from Cameroon soil. Communicating Science-Connecting Worlds, Plants and People Conference. Book of Abstracts, 77. Cruz Barrera, F.M. ; Jakobs-Schönwandt, D; Ruppel, S.; Becker, M.; Berger, B.; Junge, H.; Dietel, K.; Patel, A. 2017. Compatible solutes accumulation capacity of the endophytic bacteria Kosakonia radicincitans. Tropentag 2017: Future Agriculture: Social-ecological transitions and bio-cultural shifts. 20.-22.09.2017, Bonn. Book of Abstracts. Sharma, S.; Ballhausen, M.B. ; Ruppel, S.; Franken, P. 2017. Decoding the interaction between root endophytic fungi and beneficial bacteria. 9th International Conference on Mycorrhiza. Book of Abstracts. Tchuisseu Tchakounté, G.V. ; Berger, B.; Fankem, H.; Silke, R., 2016. Maize (Zea mays) growth promotion by rock-phosphate solubilizing bacteria isolated from nutrient deficient soils of Cameroon. 7th European Plant Science Retreat, June 20 – 23, 2016, book of abstracts, p. 54. Tchuisseu Tchakounté, GV. ; Fankem ,H.; Berger, B.; Ruppel, S. 2016. Maize (Zea mays) growth promotion by rock-phosphate solubilizing bacteria isolated from nutrient deficient soils of Cameroon. 7th European Plant Science Retreat. Book of Abstracts, 54. Tchuisseu Tchakounté, GV. ;Fankem, H.; Berger, B.; Ruppel, S. 2016. Phosphate solubilizing microorganisms as fertility tools for nutrient deficient soils of Cameroon. Phosphorus 2020 – Challenges for Synthesis, Agriculture, and Ecosystems 8th International Phosphorus Workshop (IPW8). Book of Abstracts, 187. Breedig wheat for improved zinc efficiency. Abhishek, D.; Roder, M.S. ; Ruppel, S.; Sethi, S.K. ; Behl, R.K. 2014. Breeding wheat for improved zinc efficiency. In: R.K. Behl, A.R. Asif and W. Merbach (eds. ), Cutting edge science and technology for food, environment and health, Agrobios (International) Publishers, Jodhpur, India, pp 23-30. Genetic approaches for enhancement of phosphorus use efficiency in wheat. Abhishek, D.; Behl, R.K.; Sethi, S.K. ; Röder, M.; Ruppel, S. 2014. Genetic approaches for enhancement of phosphorus use efficiency in wheat. In: R.K. Behl, A.R. Asif and W. Merbach (Eds. ), Cutting edge science and technology for food, environment and health, Agrobios (International) Publishers, Jodhpur, India, pp 147-157. Impact of Kosakonia radicincitans DSM 16656 on fruit production and metabolites in tomato. Berger, B.; Ruppel, S. 2014. Impact of Kosakonia radicincitans DSM 16656 on fruit production and metabolites in tomato. 1st International Conference on Applied Vegetable Genomics, Vienna, Book of Abstracts, 28. Impact of the PGPB Enterobacter radicincitans DSM16656 on growth, glucosinolate profile and immune responses of Arabidopsis thaliana. Brock, A.K. ; Berger, B.; Mewis, I.; Ruppel, S. 2012. Impact of the PGPB Enterobacter radicincitans DSM16656 on growth, glucosinolate profile and immune responses of Arabidopsis thaliana. 30th New Phytologist Symposium: Immunomodulation by plant-associated organisms, Fallen Leaf, USA, 16.09.2012-19.09.2012, Abstractband, 41. Ruppel, S.; Krumbein, A.; Brock, A.; Berger, B.; Scherwinski, A.-C.; Rühlmann, J.; Schmidt, R:, Mewis, I.; Rohr, F.; Schreiner, M. 2011. Unsichtbare Helfer am Gemüse. Jahresbericht 2009/2010 des Leibniz-Institutes für Gemüse- und Zierpflanzenbau Großbeeren/Erfurt, 48-51. Quantification and localization of PGPB in plant tissues using quantitative real-time PCR and online emission fingerprinting. Ruppel, S.; Rühlmann, J. 2008. Quantification and localization of PGPB in plant tissues using quantitative real-time PCR and online emission fingerprinting. Proceedings of the Plant Microbial Interactions 2.-6. Juli 2008, Krakow Poland, S. 31. Bestimmung der mikrobiell besiedelten Partikeloberfläche verschiedener Böden mittels Laserscanning-Mikroskopie. Bauriegel, E.; Rühlmann, J.; Ruppel, S. 2007. Bestimmung der mikrobiell besiedelten Partikeloberfläche verschiedener Böden mittels Laserscanning-Mikroskopie. Abstract, BHGL-Schriftenreihe 25, 29. Beeinflusst langfristig unterschiedliche Bewirtschaftung die mikrobielle Diversität im Boden? Ruppel, S. 2005. Beeinflusst langfristig unterschiedliche Bewirtschaftung die mikrobielle Diversität im Boden? In: Merbach, W., Beschow, H., Augustin, J. (Eds. ), Wurzelfunktionen und Umweltfaktoren, 15. Borkheider Seminar zur Ökophysiologie des Wurzelraumes. Verlag Graur, Beuren, Stuttgart, 121-126. Microbial communities and their impact in the rhizo- and in the phyllosphere. Ruppel, S.; Merbach, W.; Rühlmann, J. 2005. Microbial communities and their impact in the rhizo- and in the phyllosphere. Proceedings, International Conference on Role of Long-term Field Expermiments and practical Solutions for Managing Optimum C and N Content, Prague, p. 93. Ruppel, S.; Rühlmann, J.; Torsvik, V.; Daae, F.L. ; Ovreas, L. 2004. Beeinflusst langfristig unterschiedliche Bewirtschaftung die mikrobielle Diversität im Boden? Abstract, BDGL-Schriftenreihe 22, 42. Anthropogenic alteration of microbial functional and phylogenetic diversity in different soils. Structure and Function of Soil Microbiota. Ruppel, S.; Torsvik, V.; Daae, F.L; Rühlmann, J.; Franken, P. 2003. Anthropogenic alteration of microbial functional and phylogenetic diversity in different soils. Structure and Function of Soil Microbiota. Abstract, Internationale Symposium “Structure and Function of Soil Microbiota”, Philipps University Marburg, Deutschland, 156. Der Kastenparzellenversuch in Großbeeren – Ergebnisse aus einem Dauerversuch mit gemüsebaulicher Bodennutzung. Ruppel, S.; Rühlmann, J.; Geyer, B. 2002. Der Kastenparzellenversuch in Großbeeren – Ergebnisse aus einem Dauerversuch mit gemüsebaulicher Bodennutzung. In: 70 Jahre Gartenbaustudium in Berlin : Symposium des Instituts für Gartenbauwissenschaften 6. bis 9. Dezember 1999. Humboldt-Universität zu Berlin / Schriftenreihe des Institutes für Gartenbauwissenschaften ; 1 (2. Aufl. 2002), 129-133. Effect of long term organic and mineral nitrogen fertilization on bacterial diversity and activity in sandy soils. Relationship between soil bacterial functionsl diversity and the C- and N-mineralization of incorporated plant residues. Beziehung zwischen mikrobieller Aktivität und Diversität in Böden und der C- und N-Mineralisierung eingebrachter Ernterückstände. Kalkulation der Rhizo-C-Deposition in gemüsebaulich genutzten Böden eines Dauerversuches am Standort Großbeeren. Aktivität, Effizienz und Zusammensetzung von Bakterienpopulationen im Boden während des Abbaues von Ernterückständen mit weitem und engem C/N-Verhältnis. Is the specific ammonification activity of soil microbial comunities related to nitrogen mineralization? Relation zwischen dem Gehalt an mikrobieller Biomasse und dem Pflanzenertrag auf Sand-, Auenlehm- und Lößlehmboden nach langfristig unterschiedlicher organischer und mineralischer N-Düngung. Untersuchungen zu ausgewählten Aspekten nachhaltiger Bodennutzung im Gemüsebau. Humusproduktion, pflanzliche Nährstoffdynamik und Rhizosphäre. Merbach, W.; Ruppel, S.; Augustin, J. (Hrsg.) 2013. Humusproduktion, pflanzliche Nährstoffdynamik und Rhizosphäre. 23. Borkheider Seminar zur Ökophysiologie des Wurzelraumes. (Mitteilungen Agrarwissenschaften ; 24), Verlag Köster, Berlin, 190 S.
Wurzelsysteme – Interaktionen und Beeinflussbarkeit : 22. Borkheider Seminar zur Ökophysiologie des Wurzelraumes. Merbach, W.; Ruppel, S.; Augustin, J. (Hrsg.) 2012. Wurzelsysteme – Interaktionen und Beeinflussbarkeit : 22. Borkheider Seminar zur Ökophysiologie des Wurzelraumes. (Mitteilungen Agrarwissenschaften ; 20), Verlag Köster, Berlin, 159 S.
Ursachen von Stangenmängeln bei Spargel und Möglichkeiten zur Verminderung bei besonderer Berücksichtigung von Stangenverbräunungen. Untersuchungen zum Einsatz von Zusatzstoffen zur Reduktion von Stangenverbräunungen bei der Bleichspargelaufbereitung. Brückner, B.; Ruppel, S.; Hassenberg, K.; Bradatsch, C. 2010. Ursachen von Stangenmängeln bei Spargel und Möglichkeiten zur Verminderung bei besonderer Berücksichtigung von Stangenverbräunungen. Arbeitspaket am IGZ: Untersuchungen zum Einsatz von Zusatzstoffen zur Reduktion von Stangenverbräunungen bei der Bleichspargelaufbereitung, verantw. B. Brückner. Projekt-Zwischenbericht, Landwirtschaftskammer Niedersachsen, Geschäftsbereich Gartenbau, Hannover. 17 S.